You decide whether you want a peaceful trip or something a little more exhilarating. 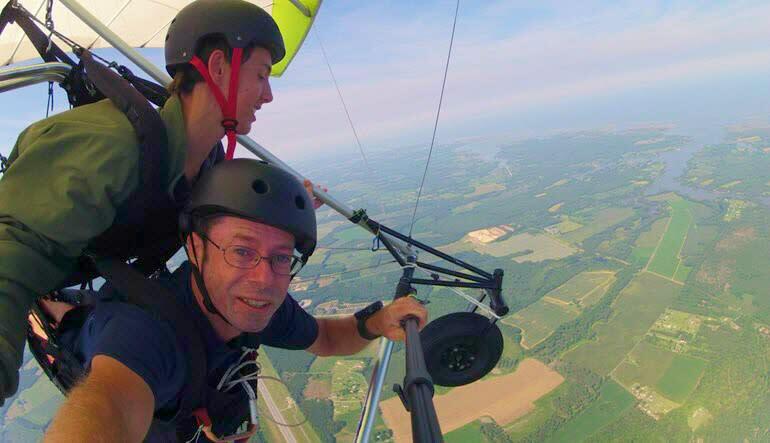 Go hang gliding in Virginia and soar above the Eastern Shore! You decide whether you want a peaceful trip or something a little more exhilarating. 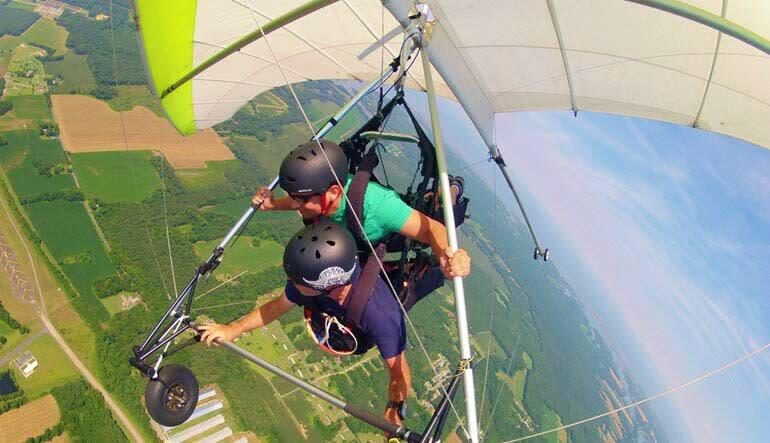 Go hang gliding in Virginia and soar above the Eastern Shore with Virginia Beach, Norfolk and Hampton Roads to the south and Chincoteague to the north. A light sport airplane will tow you up to 3,500ft where you’ll be released. From here, you’ll be shown how to fly the glider. Your instructor will teach you the basics of how to turn, slow down and speed up. And then – you’ll be able to take the controls! 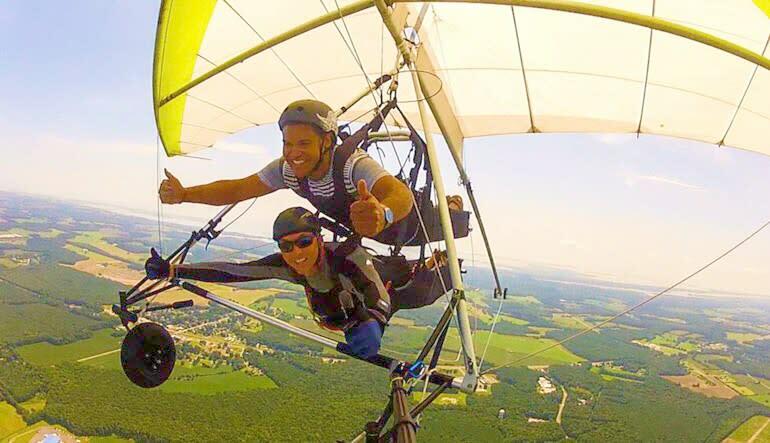 Approximately 20-25 minutes of flying time! After your gliding session you’ll and softly and gently back at Painter Field.